The Traditional Christmas tree found in many of our homes during winter. The type of tree you need depends on the style you like, how long you want it to last for and how much you want to pay. Check out our Facebook page, from Autumn, for an indication of this year's prices. 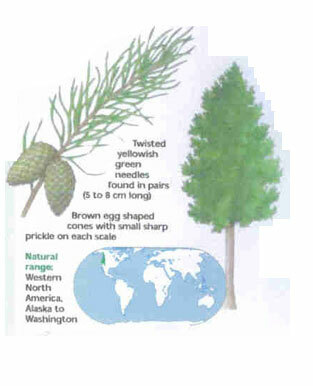 You can pick a Norway Spruce or a Fir tree growing in the ground, label it and return nearer the time to collect. 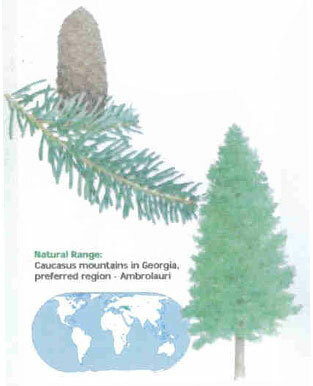 A Norway Spruce can be supplied potted, rootballed or cut whilst a Fir will need to be cut (because of its extensive root system). 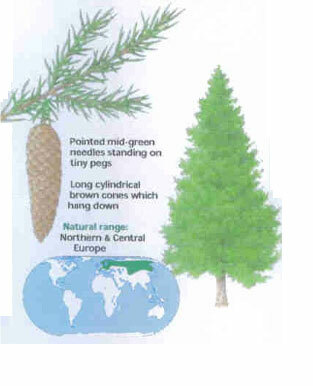 We also have a huge range of pre-cut Nordman Firs, Fraser Firs and Lodgepole Pines available to buy. Although we regularly stock trees up to about 12 foot, if you require anything larger please let us know as we will get larger trees to order from our other plantations. Measure the height of your room and work out how tall you need the tree to be – you don’t want a tiny tree that looks lost in a high-ceilinged room or to end up having to chop a bit off the top off it. You’d be surprised how often that happens! Don’t take the tree inside till you actually need to. In the meantime, keep it standing in a bucket of water in a cool, dry place. Just before taking your tree inside, plant it in a pot with earth if it is rooted or, if it is a cut tree, saw 3cm off the bottom of the trunk to get rid of any pores that are blocked with sap and make it easier for the tree to take up water. For cut trees, we recommend a tree stand that will allow the trunk to sit directly in water (placing it in soil or sand blocks pores) and will mean you don’t have to spend hours trying to get it to stand up in an ordinary bucket. Position the tree away from heat sources (such as radiators or open fires) and make sure the trunk is always submerged in water, to stop sap sealing the pores and preventing water intake. Water it daily, as a tree can take up three pints per day. At night, turn off any lights on the tree to stop it drying out and to avoid the risk of fire. 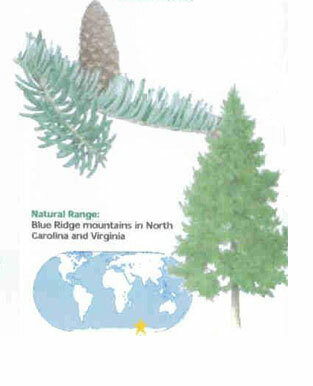 When it’s time to take your Christmas tree down, it’s easy to get it recycled. Bring your tree back to us and we will shred it into chippings. The chipping are then spread on the ground around the next crop of trees… the ultimate recycling! Wholesale customers: We have a number of long standing wholesale customers and are happy to discuss your requirements. Call us before the end of October to give us the best chance of being able to help you and ensuring we have the trees available. Please be aware that once we open for retail customers, we are unable to deal with wholesale orders at the weekend. Our terms are strictly cleared payment on collection. (c) 2010 Ivy Cottage Tree Farm. Design by nodethirtythree and Free CSS Templates adapted by Idea Farm Limited.